You’ve decided you need a music publicist you can trust to help you promote your next album release. You’re nervous. There are stories you’ve heard from bands who hired a publicist who took their money and disappeared, or maybe the publicist stuck around but made huge promises they simply couldn’t deliver. The result? Thousands of dollars down the drain. I’m not telling you this to scare you, but to prepare you to hire a publicist you can trust so it doesn’t happen to you. 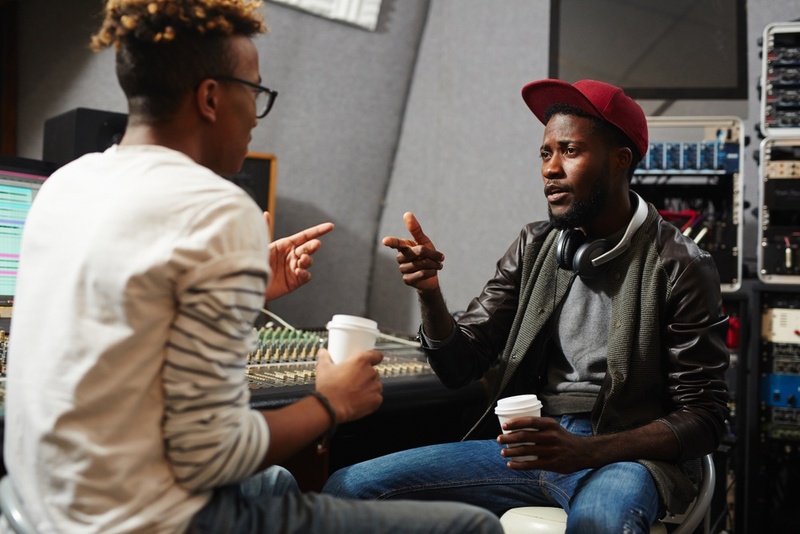 There’s always some sort of inherent risk in hiring a music publicist, but there are also some things you can do to increase the chances of hiring the right publicist for your band’s needs — and one you ultimately trust. Start with your producer, mastering studio, or other bands you trust who have worked with a publicist. Ask them if there are any publicists they’ve worked with that they trust. What did they like about them? While you’re at it, also ask if there are any music PR firms they would avoid. You should be thinking about what you want to achieve with a music publicist and if what worked or didn’t work for one band matches up with what you’re looking for. For instance, at my music PR firm, Green Light Go, we act as partners with the bands we represent. It’s a very hands-on process where both the band and PR rep are working towards achieving goals. While that works for a band who does want to be involved in the process, we may not be the best fit for a band who prefers to simply hand over the publicity and receive weekly reports from the PR team. Did you approach a publicist with the goal to get into Pitchfork or Stereogum? Was the first response, “Oh yeah, I can get you that”? That should be a major red flag. Yes, it’s nice to think a publicist will immediately generate huge results, especially when you’ve been slogging away to simply get to 1,000 Facebook followers. Music publicity is rarely immediate when no one knows who you are. When it is, it usually comes completely out of nowhere when you least expect it. If the publicist on the other line is making big promises, especially when it comes to major outlets, you should be particularly wary. The truth is: Even with the best relationships and great music, there are never guarantees of coverage. The best indication of whether you can trust the music publicist is to trust your gut. Like mentioned, you also need to know what you want to achieve. It’s not just about trusting the publicist; but also trusting that they will achieve what you’re looking for. Do you want major level press, more followers, more Spotify streams, or someone who can help guide through the process to maximize your results? When you’re talking to that person and they tell you can they achieve it, ask if they have in the past. If they have, it is absolutely okay to ask how they made it happen. At the end of the day, you need to go into the relationship fully trusting the publicist to operate with the best intentions for your success. When you’re ready to hire that publicist, arm yourself with the right questions. Janelle Rogers began her 20-year music industry career working for SXSW Music and Media Conference. She then went on to work for BMG Distribution for 10 years in the alternative music department where she championed bands like Kings of Leon, Ray LaMontagne, The Strokes, Belle & Sebastian, and The White Stripes. In 2002 she launched Green Light Go Music PR as a haven of honesty, integrity, and passion for underrepresented artists and labels. She has since been named Mentor of the Year by the University of Michigan, Dearborn, appeared as a panelist at NXNE, and been an official SXSW mentor.